Many years before the Enterprise NX-01 encountered the Xindi, there was a civil war between the different Xindi species. The Xindi were in fact a collection of five distinct species that were all native to the planet Xindus. The Xindi-Insectoid and Xindi-Reptilian peoples became so distrustful of each other that they both contributed to the annihilation of their home world. an alliance of space-faring, intelligent species. The transdimentional Sphere Builders guided the surviving species to habitable planets and urged them to construct massive celestial weapons. Taking advantage of the Xindis’ reverence for them, the Builders foretold that Humans would be responsible for the destruction of their future homeworld in the 26th century. 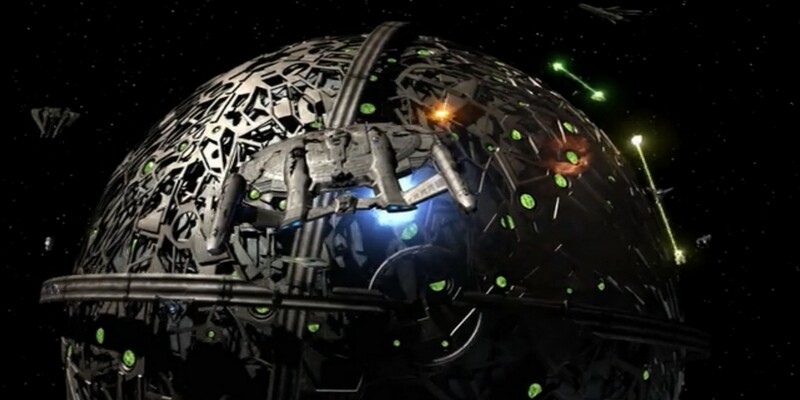 The Xindi weapons were each capable of destroying entire planets.